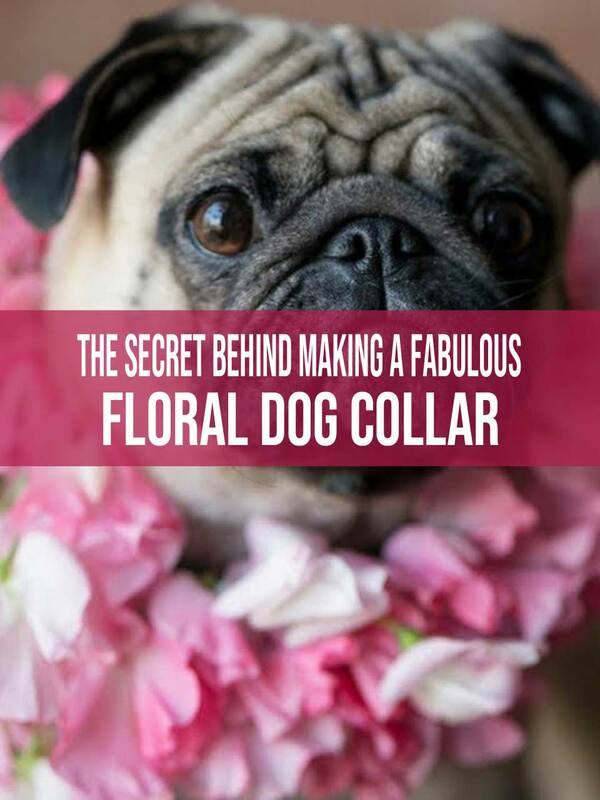 There are hundreds of DIY floral design tutorials you can find online, but only a handful that show you how to make a floral dog collar. It’ll show you how you can quickly and easily create a floral dog collar like this, by simply following the basic technique demonstrated in the video. I think you will truly enjoy this tutorial, especially if you want to show your favorite furry friend some love! Check it out and see if you agree. I really hope you enjoyed that… and are super excited about giving it a try. And don’t forget that this same basic technique can be used when making flower crowns as well. No matter your level of floral design experience, this technique is definitely one you should know how to do. If you want to make your colllar in advance, you could use silk flowers instead. You can find a high quality selection online at NearlyNatural, and at many craft websites like Michaels and Hobby Lobby, or even at DollarTree. If you use silk flowers, you might want to add a silk bloom or two into your attendant’s bouquets (or your bridal bouquet) as well, to help tie all your bridal party flowers together. If you need a little more inspiration, here are a few more examples of floral dog collars we like as well. But before we even begin, a confession is in order. The truth is, my own selfish needs are really what motivated me to create this site. See, I love to watch floral design tutorials (like the floral dog collar video you just saw), and I honestly just wanted a place where I could re-watch all of my favorites again. I also see this site as a decent financial opportunity as well. I’m just being honest. I enjoy earning sponsorship revenues on the side, as I share some of my favorite floral design tutorials with you. Hopefully, you’re cool with that. It’s a wonderful world we’re living in where we can get paid for sharing our passions. I like to take full advantage. But at the same time… I’m not here to sell anything. So keep in touch! I’m gonna be sharing more great videos about plants, flowers, and weddings… along with many other things! And as a final note, it means a lot to me to hear what my visitors think of the content I share. So please do use the comments section below to let me know what you thought of the floral dog collar video!